Where does the air go from the sideboxes? Seems like below the engine. Sounds gearbox/clutch related to me. 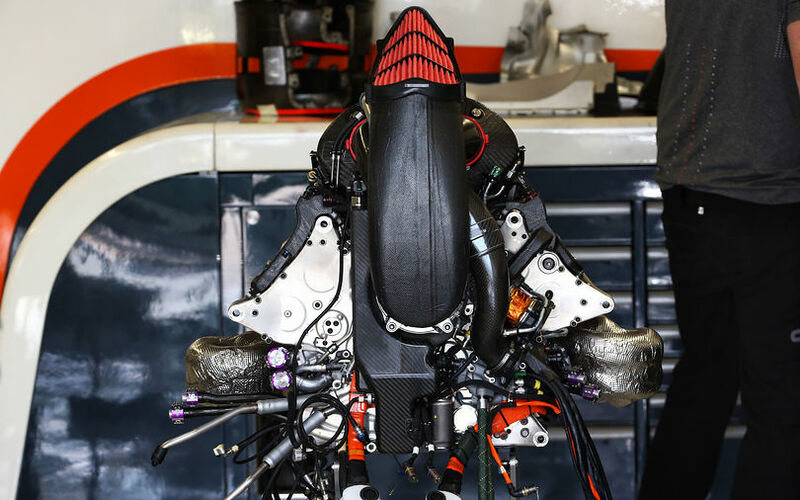 "I think we are in neutral," said Honda's F1 technical director Toyoharu Tanabe about the trade off between performance and packaging. "The power unit performance or total package performance, we discussed very much with both teams [Red Bull and sister team Toro Rosso], and we compromised [to work out] which is better. "If you have more power, [you have] more performance one way, but the chassis side is [at a] deficit. So what is the best compromise? Then we decide the best [overall] package performance." 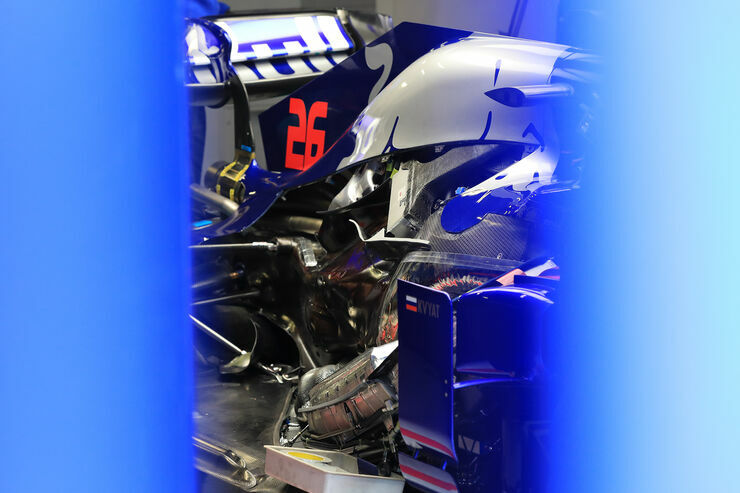 "Red Bull Technology discussed this between the teams and that makes our job very simple," he said. "The aim is to make it compact and nice. That is what we have done during this off season." "We carried over the concept from last year, which means the concept from 2017," he said. "One of the reasons is the power unit regulations does not change this year, so we have kept working on our power unit. "We improved our performance and reliability for this year. It means it [the engine] is not new but updated." Not necessarily. If you think about fastest as overall performance. It is something not must be contrast. they are saying they did together what they did and we talked about it here. It is obviously not one side job. So both side must be tried to match what other one did. Honda also said that they left 3 pu per season aim for redbull's performance request more power less life. 5 pu per season. Would not give any credence to that. His isnt on track so pure speculation if not mischief on his part to try an explain redbulls pace. He has connections with Mclaren and thats that.